Can I Change My Plea from Guilty to Not Guilty? Defendants who are charged with criminal offences are often unsure as to how they should plead. This uncertainty may arise as a result of not fully understanding the essential elements (or ingredients) of the charges they are facing. They may alternatively wish to plead guilty to expedite the matter, or even because they are ineligible for Legal Aid but cannot pay for private legal representation and are apprehensive about self-representing in defended proceedings. Such an apprehension is certainly understandable, given they will often be up against well-resourced, professional prosecutors. 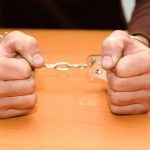 In other situations, they may plead guilty after receiving incorrect advice from lawyers who do not specialise – or do not have sufficient relevant experience – in criminal cases, or the type of offence with which the client is charged. In any event, there are mechanisms through which a defendant who has entered a plea (or pleas) of guilty may be able to change their plea (of pleas) to not guilty. This is known by lawyers as a ‘plea traversal’. How can I change my plea from guilty to not guilty? 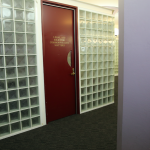 A mechanism for accepting a plea traversal before conviction or sentence is contained in section 207 of the Criminal Procedure Act 1986 (NSW). (1) An accused person may, at any time after conviction or an order has been made against the accused person and before the summary proceedings are finally disposed of, apply to the court to change the accused person’s plea from found guilty to found not guilty and to have the conviction or order set aside. (2) The court may set aside the conviction or order made against the accused person and proceed to determine the matter on the basis of the plea of not guilty. The factors to be considered by the court before changing the plea have been set out by the Court of Criminal Appeal. “Where the appellant ‘did not appreciate the nature of the charge to which the plea was entered’ (Regina v Ferrer-Esis (1991) 55 A. Crim. R. 231 at 233). Where the plea was not ‘a free and voluntary confession’ (Regina v Chiron (1980) 1 NSWLR 218 at 220 D-E). The ‘plea was not really attributable to a genuine consciousness of guilt’ (Regina v Murphy  VR 187 at 191). Where there was ‘mistake or other circumstances affecting the integrity of the plea as an admission of guilt’ (Regina v Sagiv (1986) 22 A. Crim. R. 73 at 80). Where the ‘plea was induced by threats or other impropriety when the appellant would not otherwise have pleaded guilty … some circumstance which indicates that the plea of guilty was not really attributable to a genuine consciousness of guilt’ (Regina v Concotta (NSWCCA, 1 November 1995, unreported)). The ‘plea of guilty must either be unequivocal and not made in circumstances suggesting that it is not a true admission of guilt’ (Maxwell v The Queen (supra) at 511). It should be noted, however, that the threshold for traversal is generally higher where the defendant entered their plea of guilty after obtaining advice and representation from a lawyer. What is the process for changing a plea from guilty to not guilty? The first step is for a traversal application to be made in the relevant court. 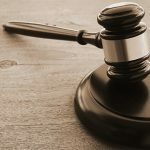 The matter will be set down for a short court date, known as a mention, at which time the court will make directions for the filing of documents in support of the application – such as affidavits and any other materials. 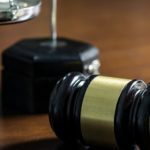 If you were represented by a lawyer when you entered your plea of guilty, you will normally require an affidavit from that lawyer regarding the advice given and instructions received, in addition to any other relevant matters. You will also need to swear an affidavit regarding the basis upon which you wish to change your plea. Your affidavit will normally canvass matters such as: you did not understand the charges against you, and/or you did not understand the lawyer’s advice (where applicable), and/or the advice provided to you was incorrect. The court will then decide whether to accept your application. If so, the case will proceed upon a not guilty plea. If not, the proceedings will continue as if the application was not made. How Do I Apply for a Legal Aid Criminal Lawyer? Can I plead guilty if I am innocent? 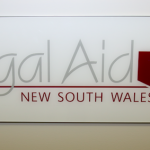 Do Lawyers Work As Hard for Legal Aid Clients as Private Clients?